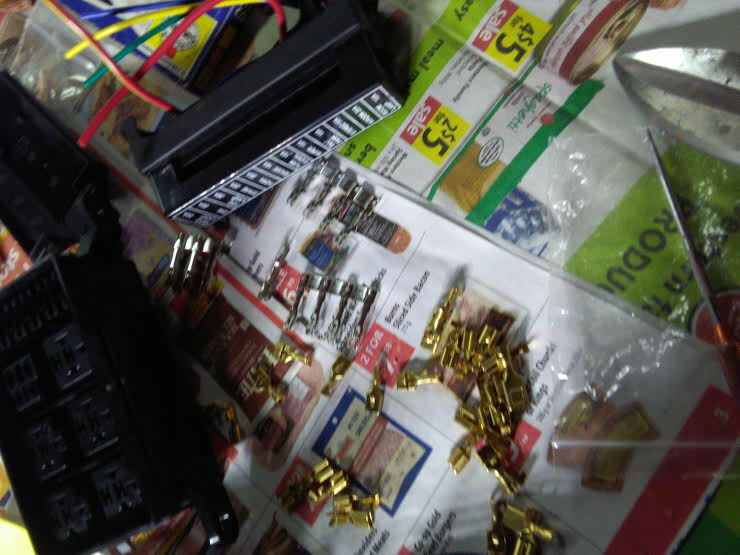 Okay, so I accepted that I had to re-consider how things are being assembled. 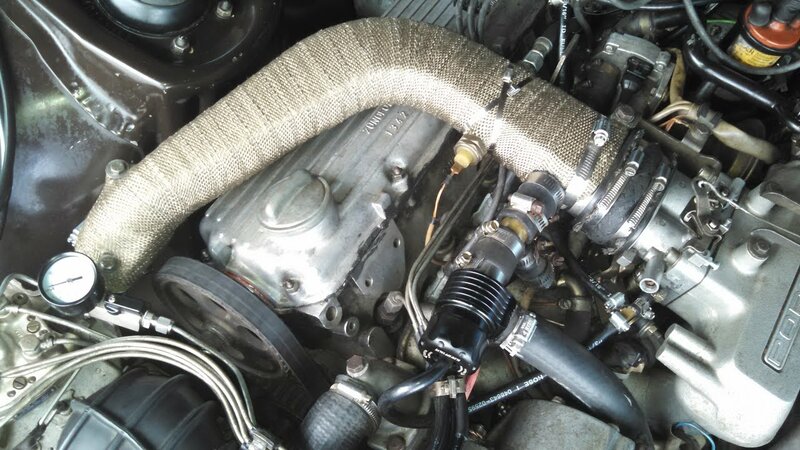 No longer thinking I can install the intake mani & turbo with down pipe as an assembly. That's fine. 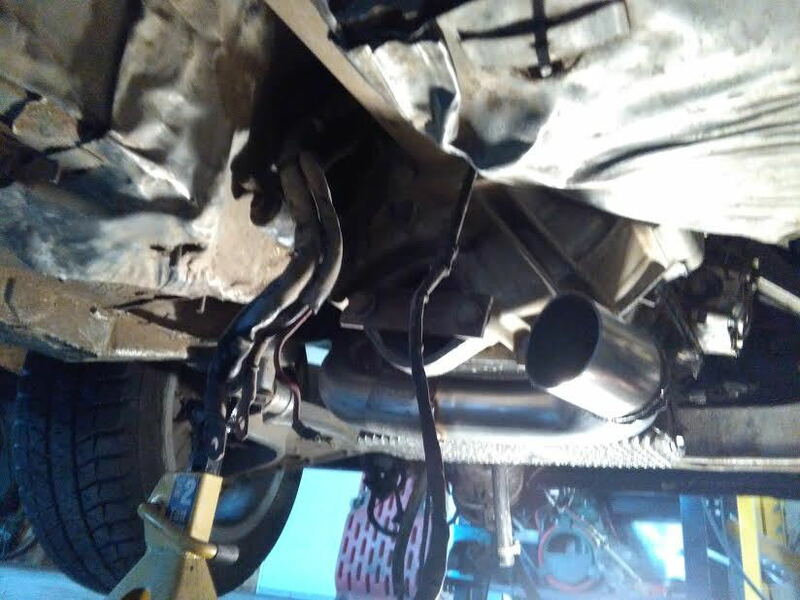 Ended cutting off the 3" downpipe... it's just too big, so going with 2.5" until the back of the starter. Slow progress but my attitude is better than last week . 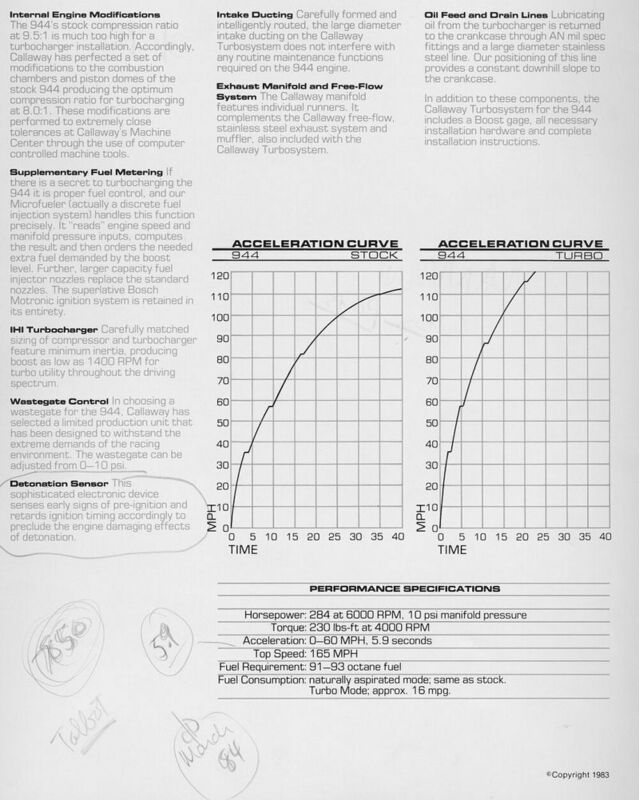 Also I was wrong about the oem turbo rotation being opposite to what I bought for what that is worth. Regarding the downpipe I reluctantly determined cutting off the 3" and growing the 2.5" pipe longer into what appears to be a very similar shape as the oem turbo down pipe. The plan from here is to turn into 3" and then what? Single 3" or double 3"? Side dump or out the back? 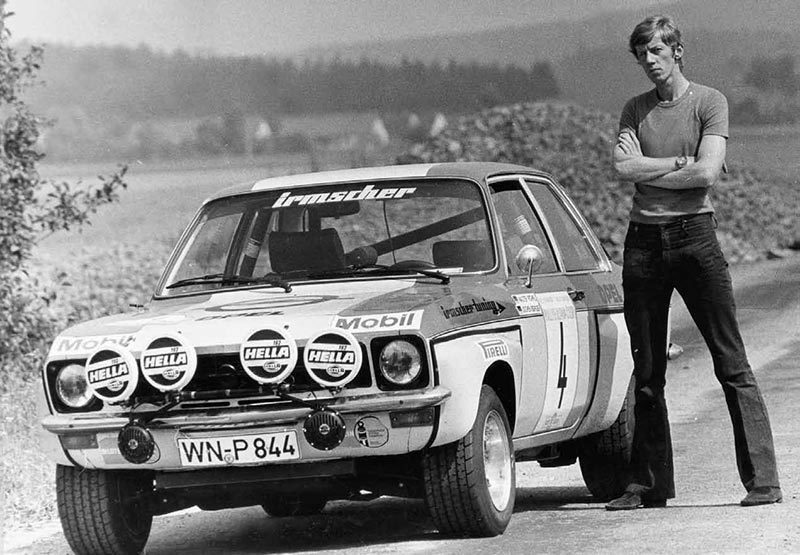 I dunno yet, but this car isn't the easiest the make exhaust for imo. 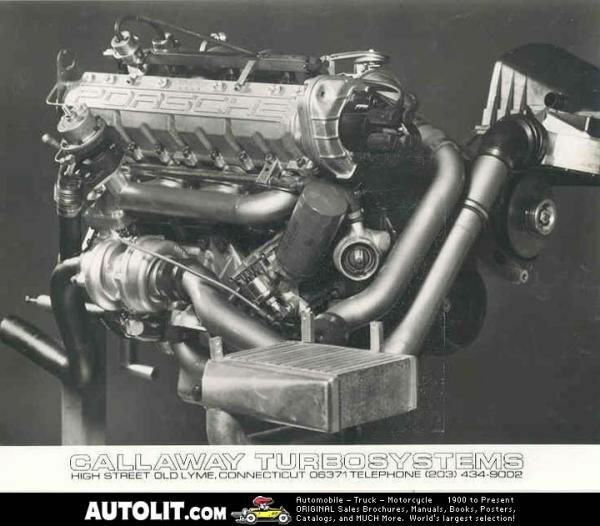 Okay, last night I confirmed my suspicions that Wilson, being a "lowered" street car has no room for exhaust that deviates from the centreline (like oem). I like your pipe works.. I haven't really tried making any solid piping like that but some day I should.. 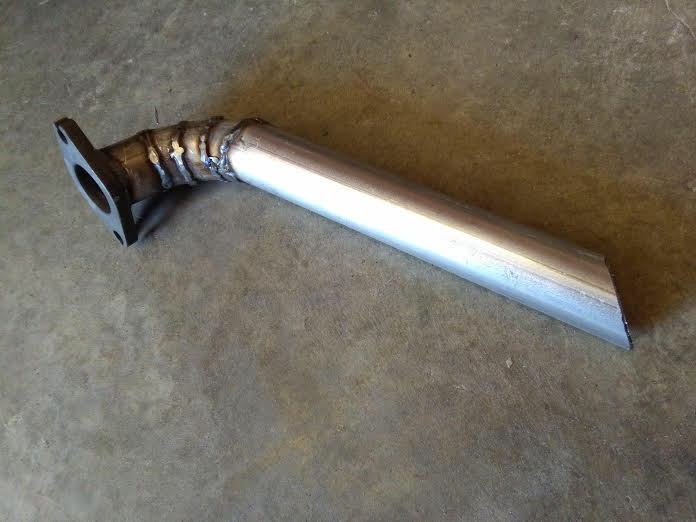 I could eliminate like 5 parts by making one shaped hard pipe like that instead of bends and couplers..
Made the external waste gate atmosphere exit pipe. 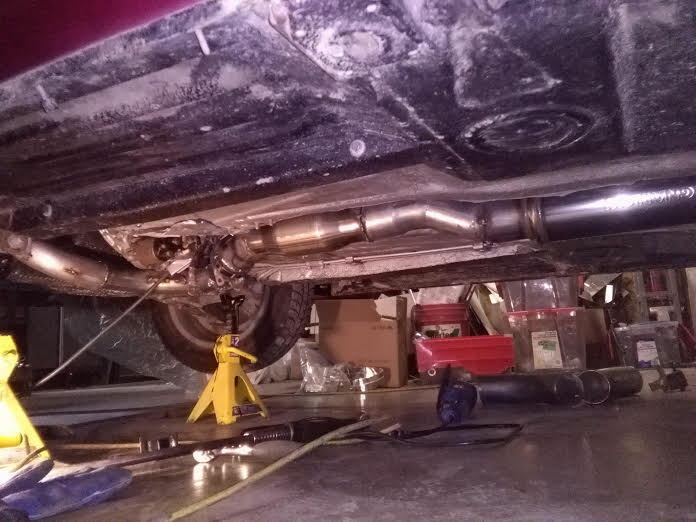 Going to weld a tab on the pipe then mount to the engine block to help support the manifold (I'm worried about the log style manifold breaking because it's made from very thin exhaust pipe. So yesterday I painted the exhaust and then mounted it tonight. 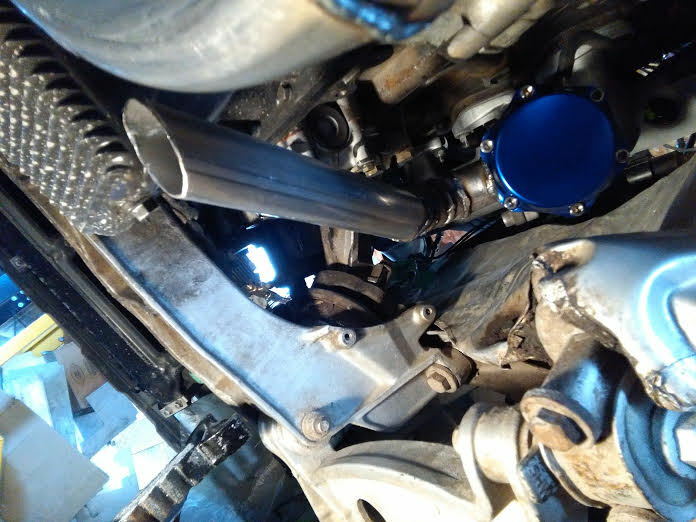 Notice the wastegate is now mounted to the block and also mounted to the 2.5" post-down-pipe section. 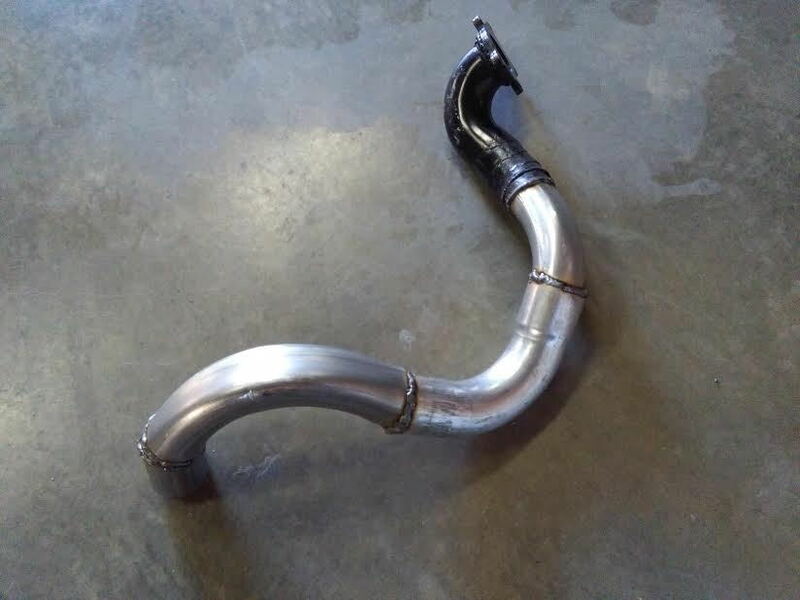 This serves to support the downpipe but also supports the wastegate exhaust (which will inturn support the exhaust manifold "log"). I realized tonight that there is a type of triangulation that is occurring with my the exhaust wrapping around both sides of the engine but also the front and the back! This feels strong. I sure hope it all holds up to the heavy abuse I plan on putting this car through. Oh, also the instrument pod came in the mail. Woohoo! Gathered my 4 new intake gaskets. Painted bolt heads because daily driver with lots of hood vents, don't want to rust from rain and such. Separated the 951 intake manifold from the Ford V8 throttle body and rather than use sealant I opted to make paper gaskets. 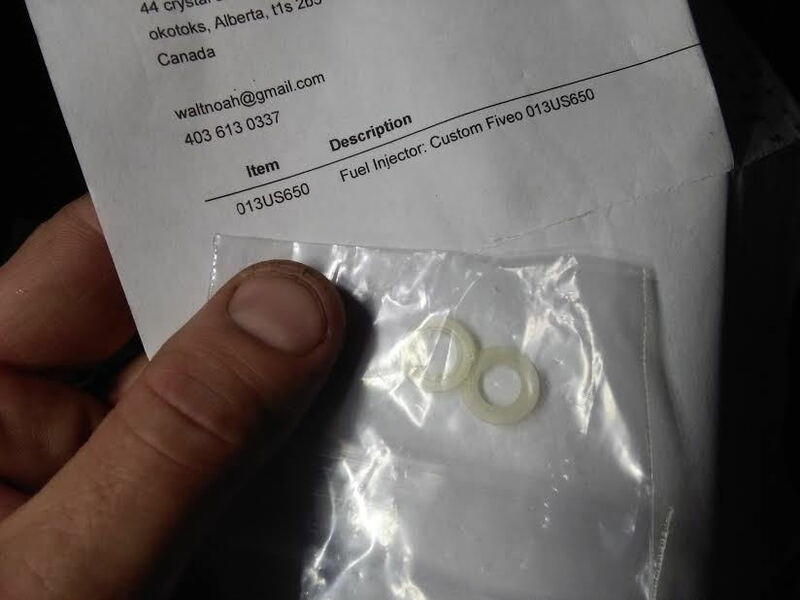 But what surprised me was these plastic rings that were on the lower side of the rubber o-ring, like towards the engine on the business end of the injector. I took them off, and man were they tight. 2 went flying off in my shop. And then I started to second guess myself... so I sent the question in to FiveO. Kirk from the injection place said the lower "o-ring retainers" are designed to be used. I found internets describes them as gen 3 Bosch injectors components that are meant to keep pressure on the upper O-rings. Keiith said I would be okay to run without them, but I didn't want to risk a fire, for found the missing 2 and now they are firmly clamped in place along with the 3.0 regulator and ign wires & injection harness. 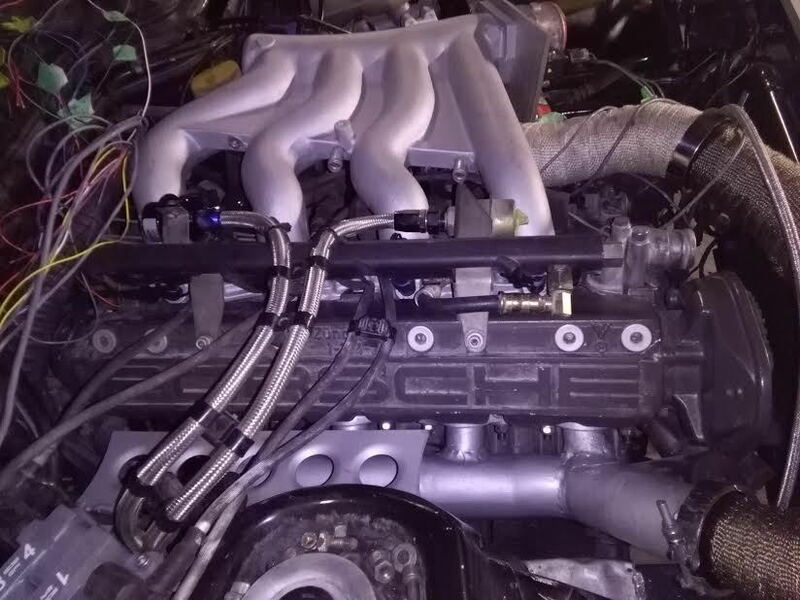 Also, I'm so happy I was able to mount the intake manifold without using the spacers I made.... this is better than with spacers... they were a patch job. Also a sneek peek into the future. Might not be so pretty but Wilson is a high performer. 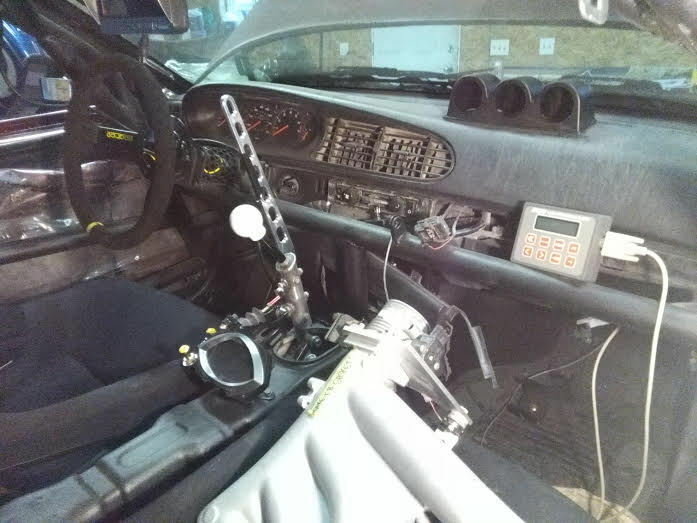 Next to steering and brakes, visibility rinks very high in my books, and everyone knows LEDs are bright lights! I like the header wrap color. I think I used the same under my hood, titanium something? What did you do to terminate your ends, where you stopped, of your wrap? I tried those stainless zip ties buy by their design they do not stay completely tight, have some backlash, so as you can see I went with hose clamps on each end to keep it there.. It has been on there for like 2 years and still looks great! 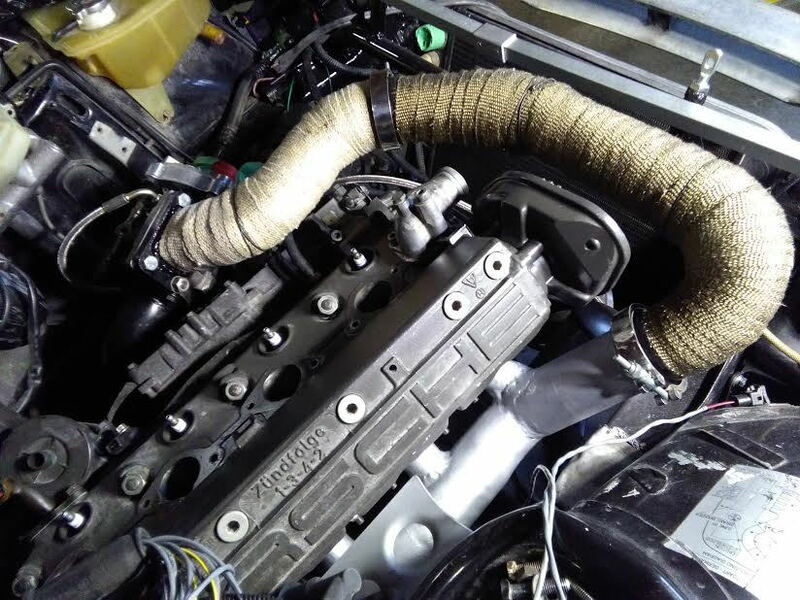 But it's on the intake so it doesn't get so hot.. Sure lasts a long time on the cold side..
Did you wrap yours wet? 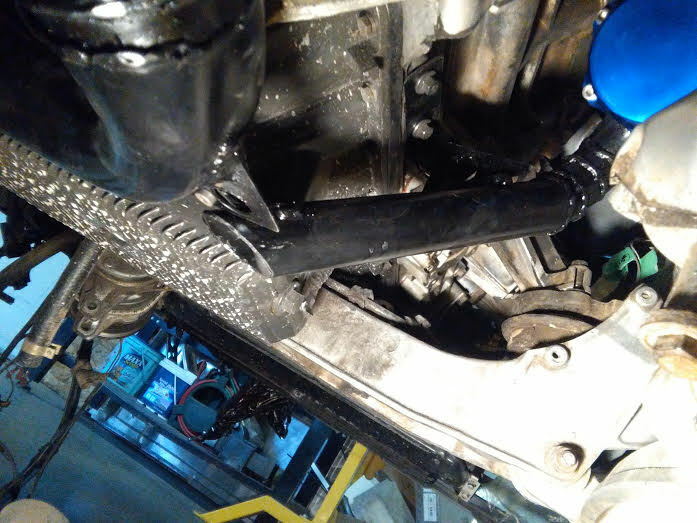 I soaked my tape for a long time and me and my GF wrapped it real tight, we were very itchy..
One thing I hate about my wrap is I end up resting my forearm on it while tinkering under my hood and it gets me itchy, lol.. I guess it's not that bad because I haven't tore it off.. Even spilled oil on it once, thought it would never be the same, after a couple minutes it straight up disappeared and you can't even tell.. The rap did turn to dust under the washers on the lower charge tube bolts, so maybe it will eventually go to hell from there but so far so good.. I cooked some black wrap straight white on my exhaust.. 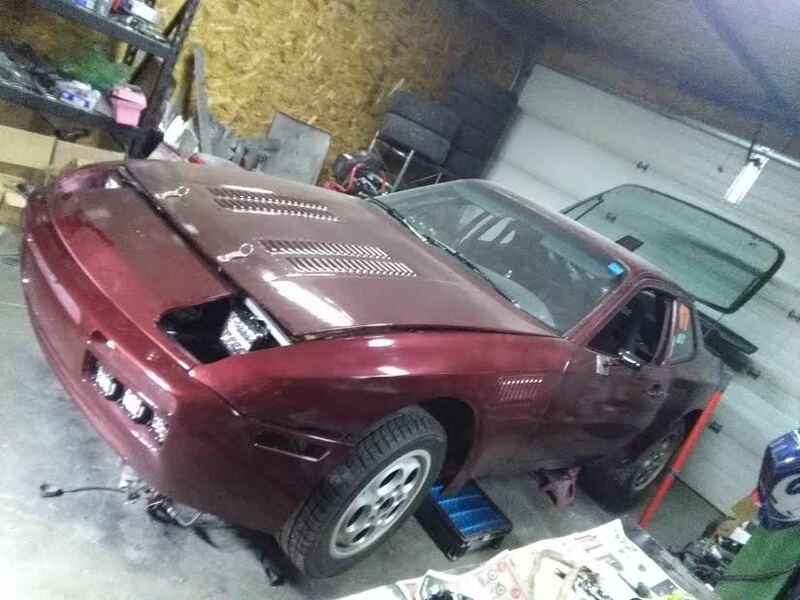 I have been thinking about doing dome sort of phenolic spacer between my head and exhaust manifold, and possibly a sheet metal heat shield over the top of it.. IDK.. I have been googling my eyes at parts to make my FMIC kit fancy today.. I think it would fit.. It gains a couple inches of core size both ways from mine but looses 1" of thickness.. Mine is 4" thick core..
Not like I'll actually buy it.. But mmm thats nice.. 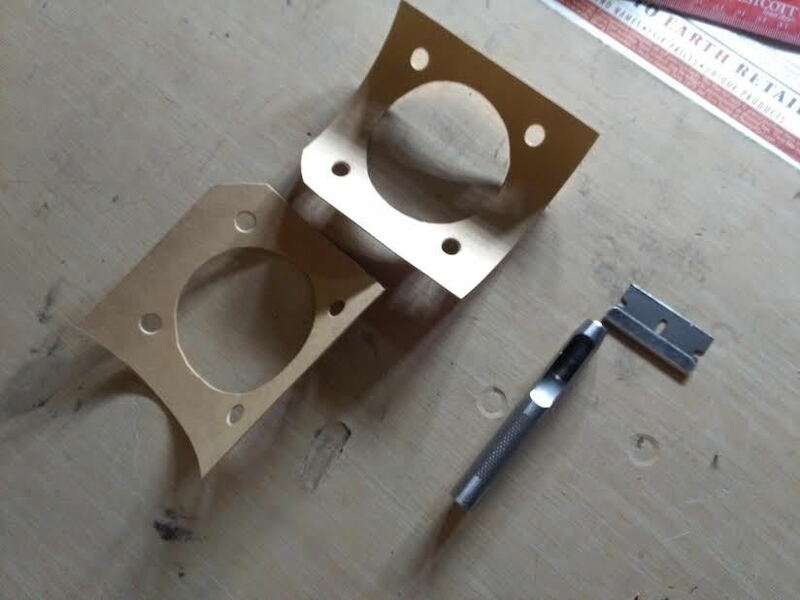 Mine fits too perfect to screw with, and is huge enough, wonder if I can DIY anodize it gold, or set up a mad scientist experiment and give it a very light plating of brass.. I do have a batch of acid sitting and their shouldn't be much metallic left undissolved but the gold, computer scrap experiment, maybe I could give it an ultra light plating with that.. 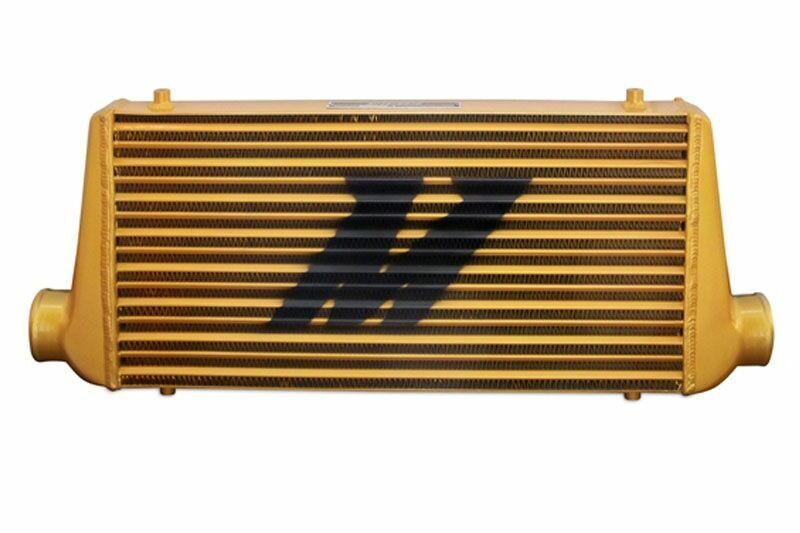 Which I will eventually do, not sure yet gold, black, polished or what, but want to redo it in real intercooler materials some day.. 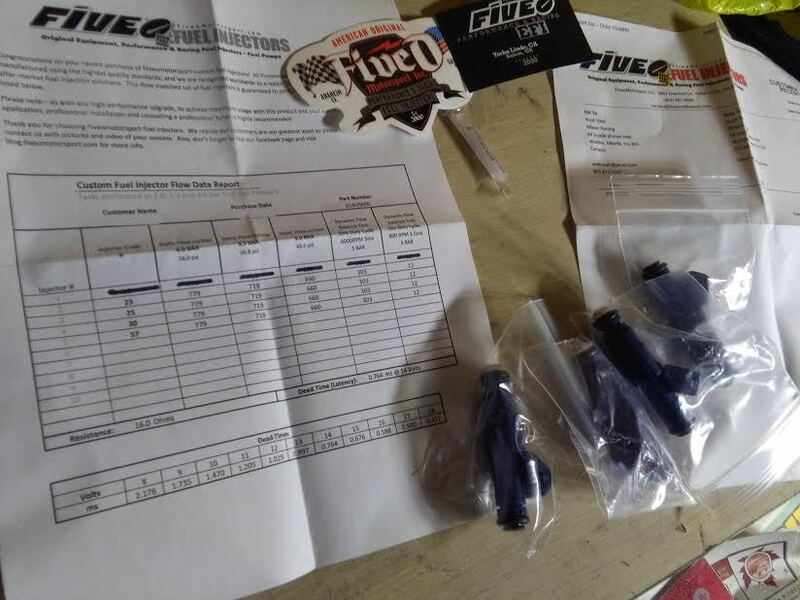 These guys https://www.squirrelly.com/ squirrelly performance, have the good deals on most of the reducer 90's I'll need, with clamps, on amazon..
Real brand name silicone components are expensive..
"Every Squirrelly Performance product is crafted right here in the USA"
HA! I'm SOLD!! Awesome.. Figured they were china and went and looked.. Even the T-bolt clamps made in the USA? If so Amazing deals like this..
Maybe I'll email squirrelly and tell them I will run a nice big squirrelly performance sticker on my car if they send my this list of couplers, lol.. I'm kindof liking the gold and have always wanted to do a car in black with gold metal flake over it.. I attribute it very much so to the fact that I drilled my bumper shocks and pushed in my bumpers.. Transformed the look of my car IMO.. Love it.. Don't even need a euro rear, maybe a front some day..
Oh! You know what I did today? I bought a couple cans of car tail light blackout/smoker spraypaint and did all my "zits" or the round side markers.. I made a cardbard with the right size round hole in it to spray them, but, it turns out that the smoke spray paint runs extremely easy, so I had to do a couple of them over, and they still aren't perfect.. So, I'll live with a bit of run on my zits for a few days so I can decide if I like them blacked out or not, and if I like it a lot I'll take them all off, clean them back to new, lay them level, and do a real good job painting them.. 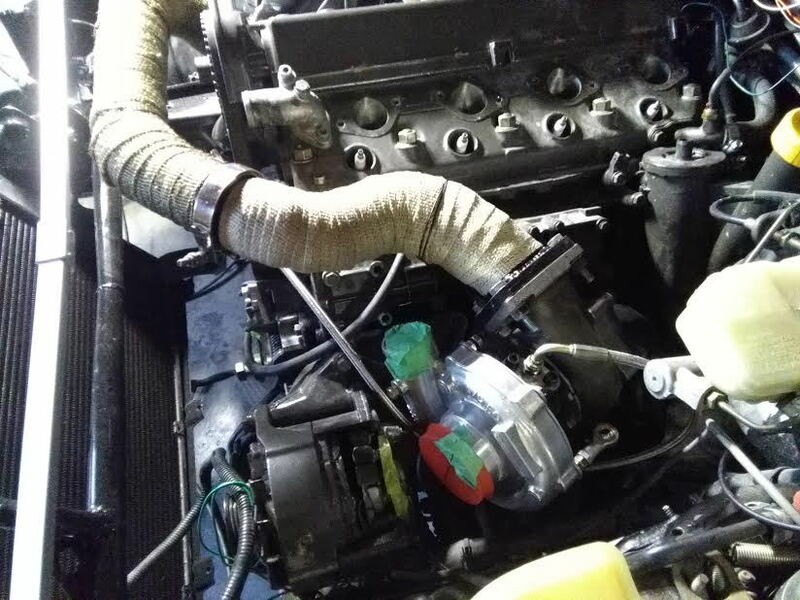 I tend to do my custom stuff over and over a bunch of times until I get it how I want it, then when it works clean up the loose ends and do it as right as I can..
My airbox, wait till you see my airbox.. It is 3 pieces of hand hammered sheet steel (lawnmower hood actually) not counting the original airbox.. I have 2 of the 3 sections complete and welded, which also make my dimensions solid in place.. It got tacked while on the car so it fits just so..
anyway the 3rd/last piece is all hammered out and clamped up, but I can't just get my free welder to weld whenever I want so I'm waiting to catch him at the right time.. I'm debating leaving it bare metal and sort of "browning" it like they did ancient guns, heat coloration and all.. Or might severely attack it with the grinders to make it smooth and paint it.. I havent been able to tune much becase I am loosing too much oil.. 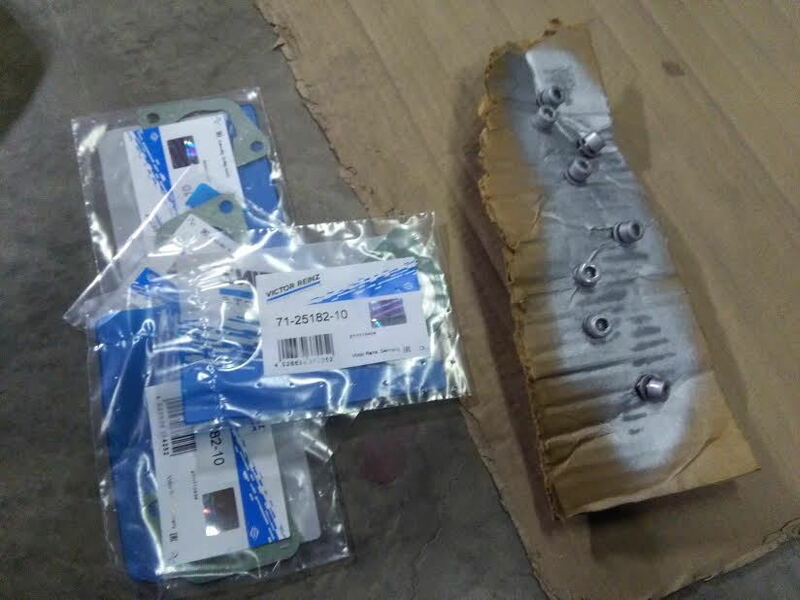 I ordered an oil pan gasket set (crap job to do) but might be doing the RMS too because it might be that, however less likely imo idk..
Also need a new thermostat 90 rad hose..
Hope you don't mind a rant in your thread, but the gold is sweet..
Works good off of your burgundy color too..
Aw crap I just had another thought pop into my mind so better edit it in..
You ever ear of the method to sort of "mandrel bend" your own piping DIY by first filling it with sand, welding the ends shut, and then bending it? I guess it preserves the interior volume so when you bend it you don't get the kinks, and can hammer it out pretty round.. Or something like that.. Anyway, I thought about seeing if I could get my hands on some 2.5" copper plumbing pipe and bending it up like that.. I think bare copper would look great throughout its oxidization life.. Not let it go like green but let it get to look like pennies.. But I'm not sure if copper pipe would be strong enough to not crush under T-bolt clamps? What do you think? Where do you get all of your bends? I'm not paying $30 apiece for a foot of bent pipe..
Wow that gold is so so so sick. I love it. Why not just lightly scuff your pipes & cooler with fine grey scotch brite pads & spray it with VHT ceramic exhaust paint. I'm sure they make gold, no? I have multiple overlays of the wrap in areas I thought need it most (near intake mani & near cam gear). I used simple mechanics wire to terminate. Your engine bay is a beaut. I love the mechanic look. Yeah, I see that your wrap overlap is a lot more than mine, and you say even more layers in some parts.. I got ya.. 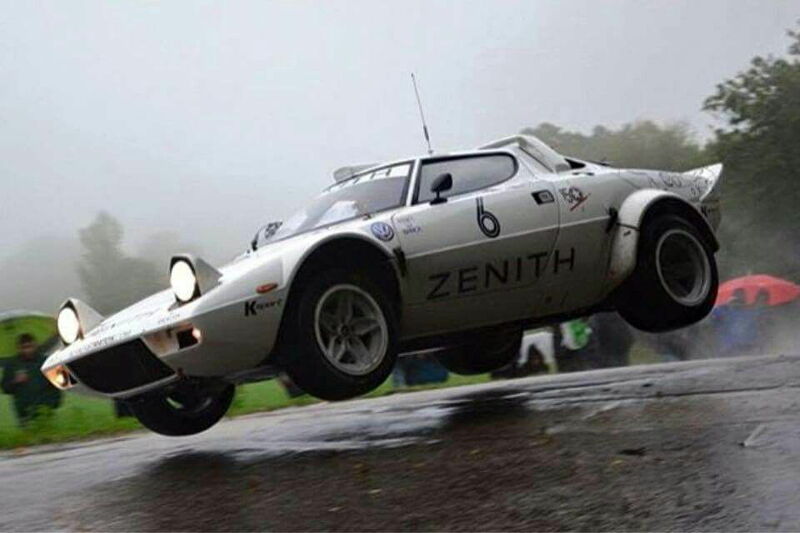 I wasn't really trying to super insulate it like you are..
Is there anything sexier than FLYING TARMAC RALLY WEDGE CARS? Hmmm, maybe. Maybe not. Many people say "you silly wabbit, driving a rollaged car on the street". Okay, you are correct, there are risks. 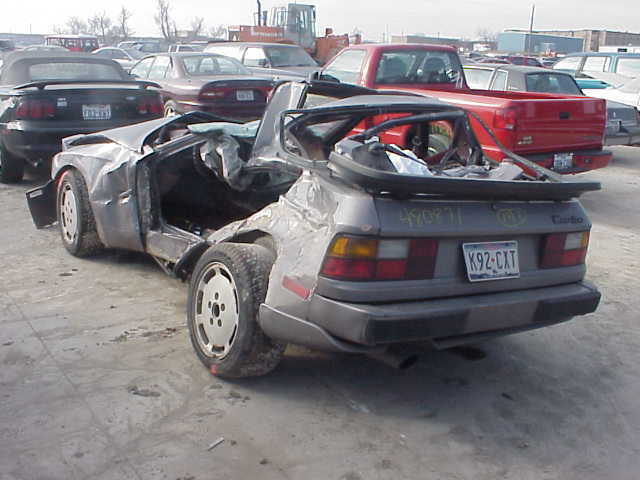 But, there are risks with only a rollbar also. Below. Started wiring. Going to put a fuse in between most points of contact between chassis & ECU just in case one is ground and one is power. Michael, if you are reading this, the diagram you sent me (with the red and blue wire, possibly pin 1 is labelled "ign switch", is this for the starter solenoid?) … The term "ignition" can be because it has so many applications. 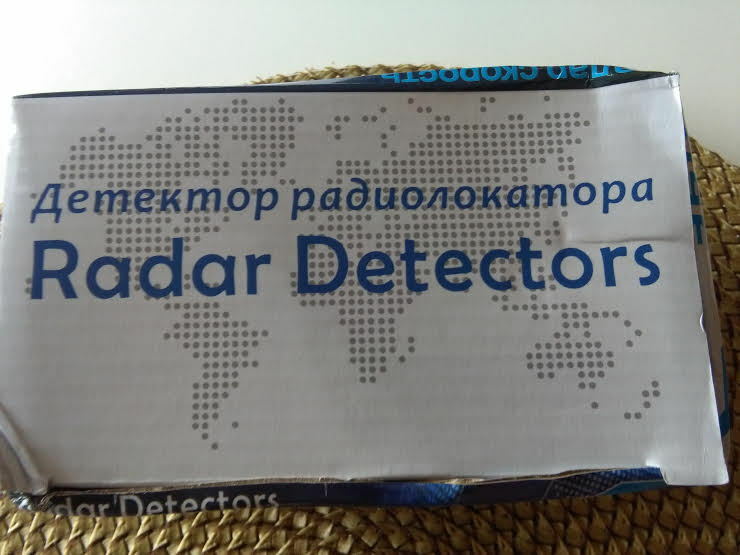 Got my Russian Radar Detector! ...came with China Postage. Weird. Great video. Petrolicious is the BEST! I thought I did a pretty thourough comparison about 6 months or so ago when I bought mine but never came across this russian one.. Did you find a hidden jem? Bang for the buck deal? Tell me more about it.. I was looking at the V1 and the Redline but ended up going with the Uniden R3 as soon as I could get my hands on one.. Had to wait a few weeks for it to come in.. I have been running radar detectors pretty religiously for about 10 years and to be honest my best saves have been with cheap detectors I've had in the past.. I haven't really had any close calls with the R3 yet but maybe that's because it lets me know before it's that close.. Another thing I have been meaning to do to the thing is update it's firmware..
On one hand it wasn't exactly cheap but on the other hand it is pretty cheap to own considering they hold their value very well for an electronic gismo.. It is set up to turn itself on and off depending on what it sees for movement in its GPS.. So if you sit still for a half hour it will shut off..
One of my only complaints about it is what it does when it's on and I start my car.. If it's on in the X5 when I start it it calls out "low battery" from the voltage drop from the starter.. In the M3 sometimes it shuts right off when I start the car so I have to manually turn it back on, which is annoying.. It's not the car battery's fault either.. Can't be.. I'm running a monster AGM in my BMWs.. Deka East Penn Intimidator Grp 49 https://www.autobarn.net/deka-agm-exact-fit-battery.html But a Napa rebranded one.. Along with an upgraded HO alternator in the M3 to keep my amps from clipping.. The M3 got a full blown stereo done the right way, done myself ofcourse, everything on amps, like I always wanted to do in my first car, the 318.. But in order for me to do that I will have to have a lot of $$ burning a hole in my pocket, and would probably go with what used components I can find FS on the radar forums..